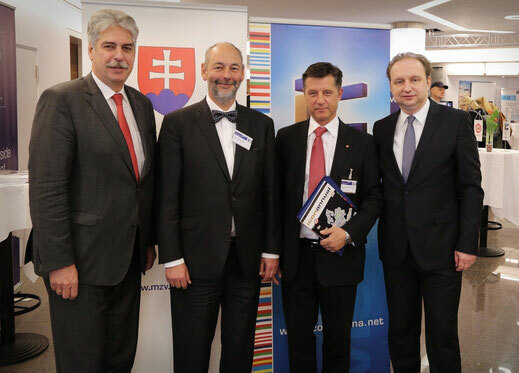 "Already for the 10th year iconvienna - The European Business and Investment Forum is featuring the City of Vienna as a hub for East-West opportunities and as a center for the international economic and business dialogue. With this year's focus "East-West Summit on Innovation and Smart Cities" iconvienna presents the latest trends and developments of internationally significant issues like financing models for innovation, innovation and infrastructure for smart cities, challenges in transforming research into innovations. Vienna is ranked the most innovative city in Europe! iconvienna participants will also have the opportunity to visit one of Europe's largest urban development areas "Seestadt Aspern". Aspern Urban Lakeside is a new urban development nearing completion in the northeast of Vienna, with a total surface of 240 hectares. As president of iconvienna I am proud to celebrate 10 years of "MAKE CONTACTS TO CONTRACTS" but also the start of our new initiative -involving young leaders and high potentials- iconvienna youLEAD young leaders dialogue." Looking forward to meeting you at iconvienna 2014! We are honored to welcome this year's guest country Slovakia. Governmental Representatives and Top Experts from Business and Science participated in iconvienna 2014 discussing twin city/smart city strategies and joint projects in the Vienna-Bratislava region as well as financing models for innovation and transforming research into innovations.